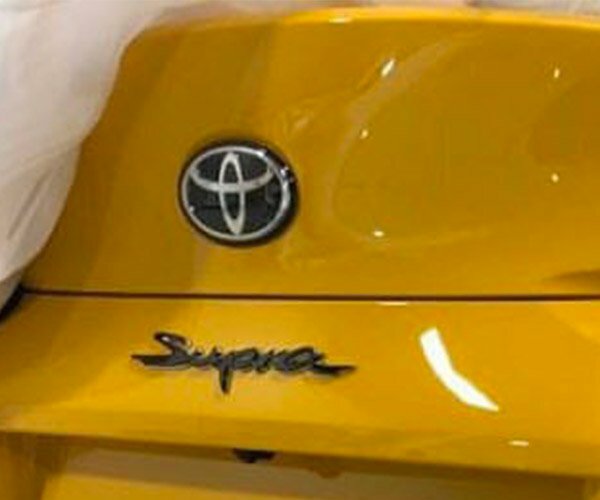 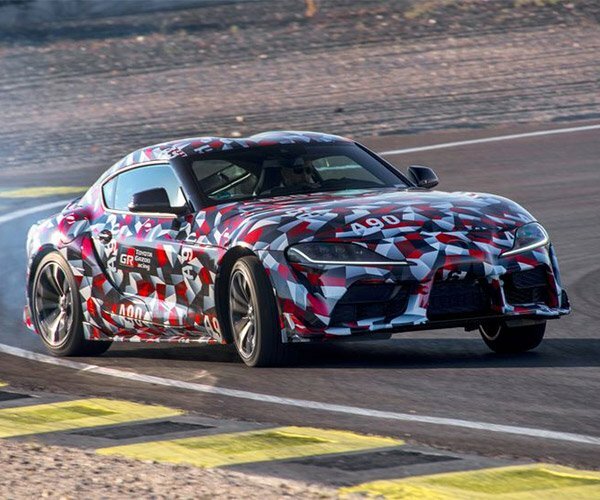 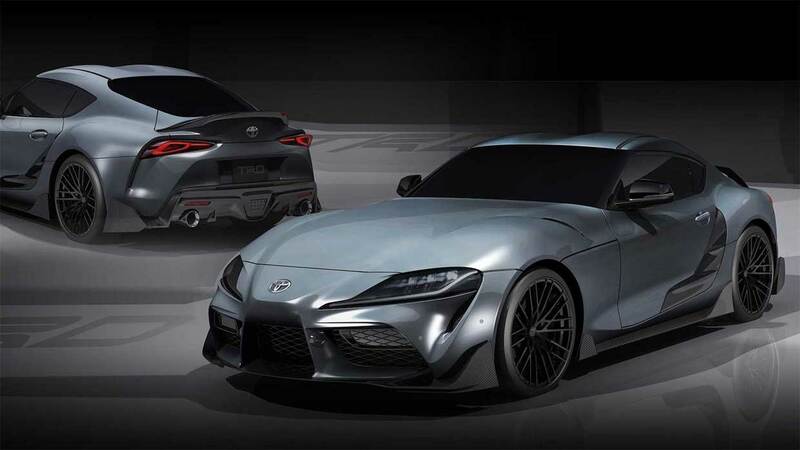 I’ve not been exactly quiet that I am less than happy with the reveal of the 2020 Toyota Supra. I find it not too attractive from many angles, and I think for the the money the car should have loads more power. That said, I am excited about the Supra TRD concept that Toyota is showing off. 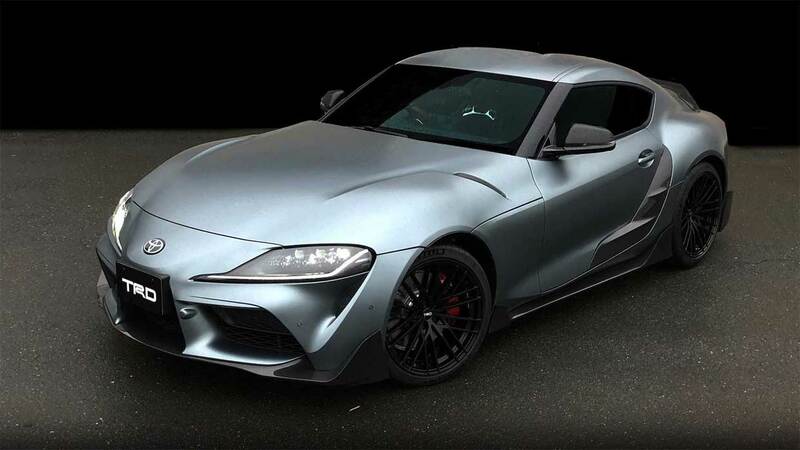 The tricked-out Supra is festooned with carbon fiber aero bits that look as if they might be functional. 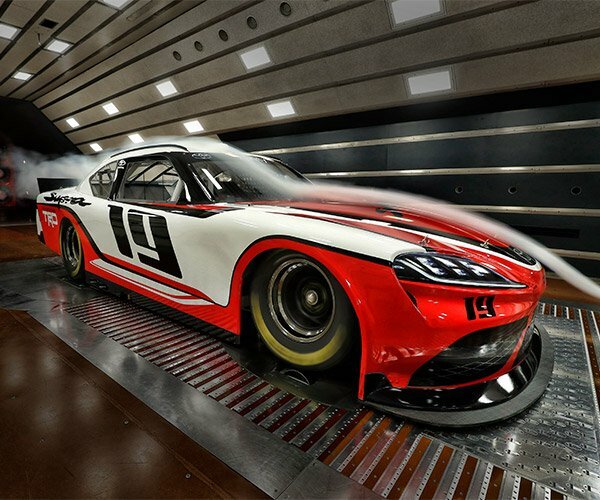 Engineers looked at six areas to improve aerodynamics including the front bumper, wheels, side skirts, door garnish, rear bumper, and spoiler. 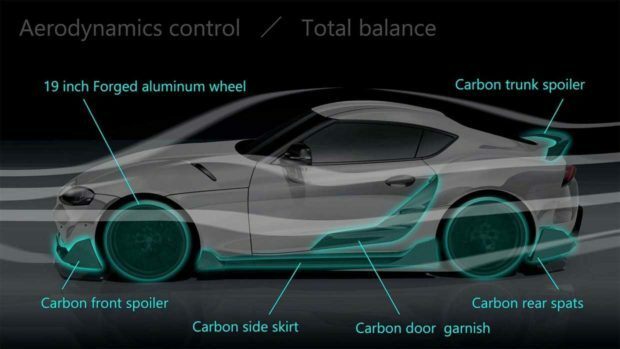 The wheels are 19-inch forged aluminum units, but all the other bits are carbon fiber. That front spoiler is very cool with large fins, and is designed to reduce lift and add downforce. The side skirts lower the car’s center of gravity and the door garnish helps air travel to the rear of the car without as much turbulence. 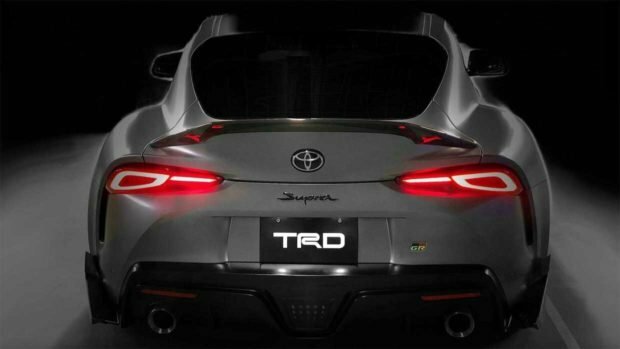 The big rear diffuser has spats on the end, and the spoiler helps with rear downforce. 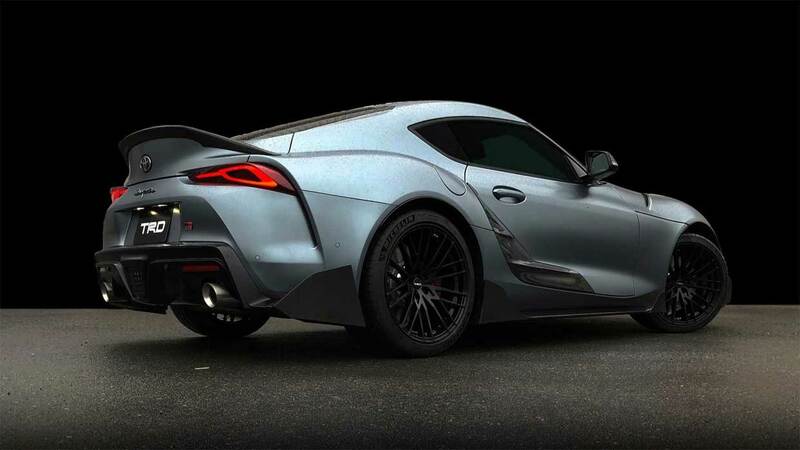 The body touches look really nice as well.